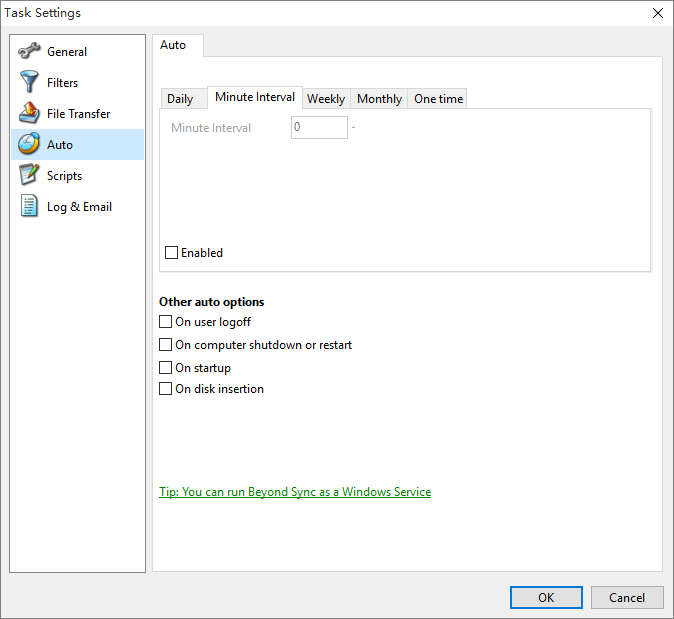 Beyond Sync has an easy to use built-in scheduler. It allows you run the task automatically at a specified time. Set-it-and-forget-it!